This debate was organized by the West Knox Republican Club, with it’s President Alexander Waters serving as Moderator. Question: What bill will you introduce this next session? I missed recording 30 seconds of the debate, it was a rebuttal by the opponent of Jason Zachary in which she slammed AFP. 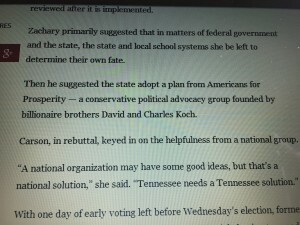 The slam was reported in this Knoxville News Sentinel article written by Gerald Witt. Below is a picture from the story online. 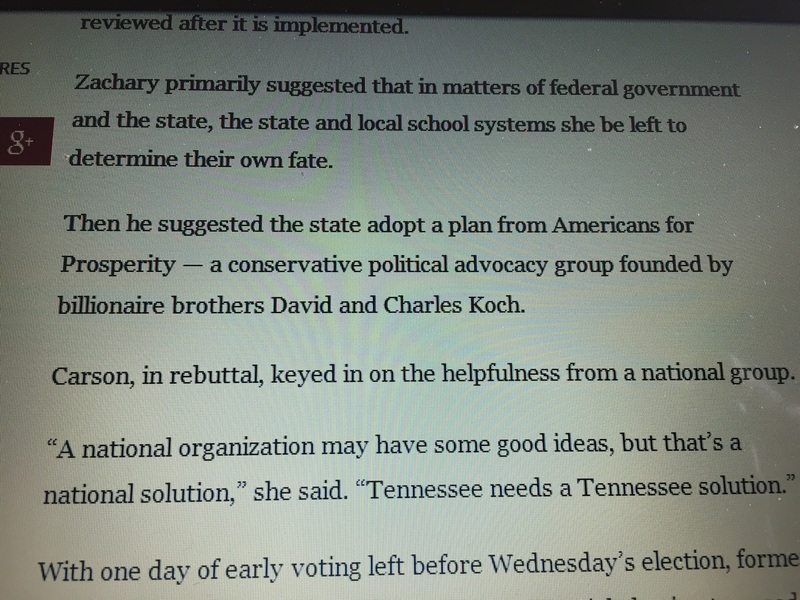 Did School Boarder Kincannon Refer to KCS Teachers as 5th & 7th Graders?